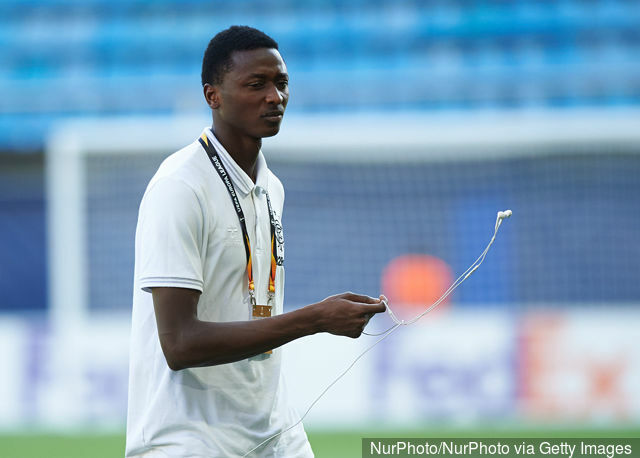 New arrival at Perugia of Italy, Sadiq Umar still has a tough fight on his hands before he can hold down a regular spot in the squad, as he is said to be ranked third in line down the club’s attackers’ perking order. 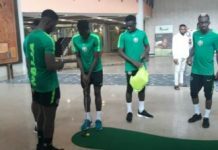 Footballlive.ng gathered that, although Umar has already played a friendly for his new team and was listed for their latest league match, he is still behind the top ranked trio of Mattia Mustacchio, Luca Vido and and Norh Korean ace, Kwang-Song Han. Aside the top three attackers already in Perugia’s mainframe, Umar will also have to contend with the back-up duo of Federico Melchiorri and Andrea Bianchimano, as the Rio 2016 Olympics bronze medalist seeks an inroad into regular playing time with the team. 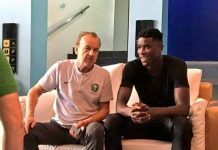 Despite the odds, Umar is hoping for better days ahead of him at Perugia, who once paid the wages for former Super Eagles’ midfielder, Christian Ndubuisi Obodo (Bundle of Skills). The lanky attacker, who is on loan from Serie A side, AS Roma, played his first game for Perugia in a 1-0 loss to Empoli last Saturday, and hopes to continue impressing The Grifoni’s coach, Alessandro Nesta. 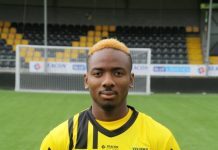 Umar is boosted by the presence in the squad of a fellow-Nigerian, ex-Golden Eaglets and Flying Eagles midfielder, Kingsley Michael, who has already made 15 appearances in the Italian second-tier and is a regular in Perugia’s squad. Beyond making Perugia’s 23-player roster for the Serie B game against Brescia at Stadio Renato Curi on Saturday evening, Umar is looking to cement his place in the starting line-up for the rest of the campaign.